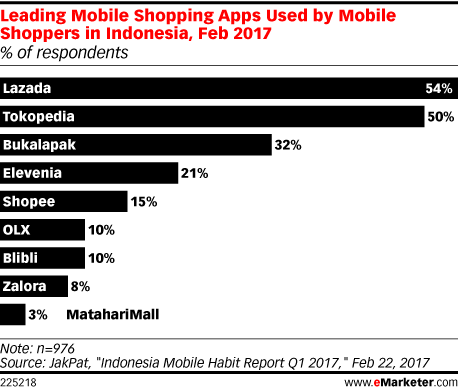 Data is from the February 2017 JakPat "Indonesia Mobile Habit Report Q1 2017." 3,501 mobile internet users in Indonesia were surveyed online in February 2017. 98% of respondents were ages 16-45. JakPat conducts surveys of mobile phone users in Indonesia.